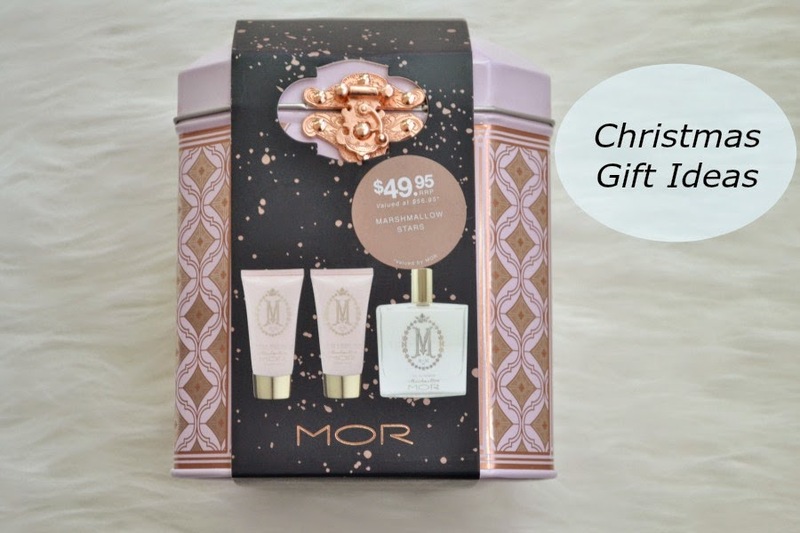 Last weekend Myer had 20% off Christmas Packs (only on selected brands) so I headed in on my lunch break and picked up this amazing one from the brand MOR. MOR do amazing products, that feel luxurious but have a good price tag. The gift pack I bought is the "Marshmallow Stars Eau De Parfum Set." I've been a HUGE fan of the Marshmallow range for years and have tried their soap, body lotion, petite candle and perfume oil. It's a scent that is light but lasts for hours. I can't stop smelling my wrists when I've applied the perfume oil. I ADORE the packaging. I always find cardboard packaging a waste as I will 99% of the time throw it out, so I love that this gift set came in a tin. I love the design of the tin, that I'm almost tempted to get another one!! I'm wanting to actually take off the lid and use it to store my make up brushes in (which is why I want another tin!). I actually bought a "faulty" pack as it contains 2 hand and body milks instead of a hand and body milk and a hand and body wash. I don't have the receipt... or the patience to deal with the Christmas rush, so I won't be taking it back to exchange. 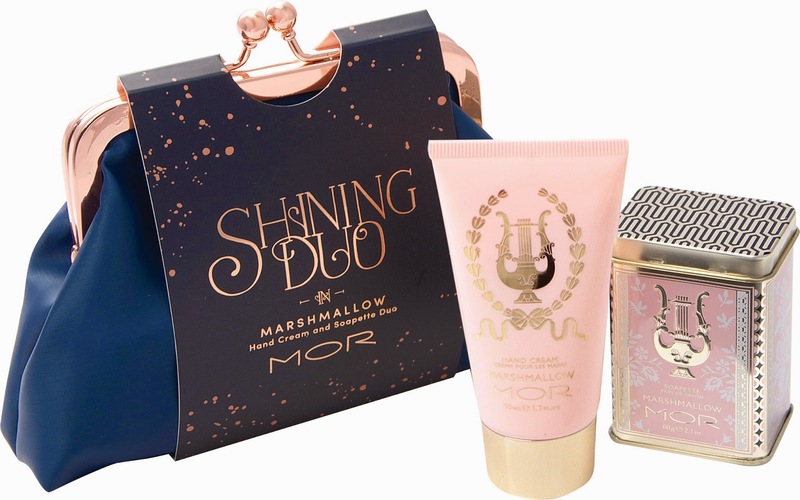 The pack is worth $56.95, so you're not saving a lot by getting this gift pack, but the perfume is worth $49.95 by itself, so you really get the lotion (50ml) and wash (50ml) for free as well as the beautiful packaging. With the 20% off sale, I paid $39.96 for the set! MOR have some wonderful gift sets this year that start from as little as $12.95 and goes up to $79.95. Contains either a Blood Orange Hand Cream or Lychee Flower Hand Cream in a Bon Bon. This is a perfect Kris Kringle gift, especially if you only have a small budget. And it's already packaged, so you don't need wrapping. You'll notice MOR released a LOT of packs in the Marshmallow fragrance... and that's because it's amazing. This pack has a Marshmallow soapette (60gm) and a Marshmallow hand cream (50ml). It comes packaged in this cute midnight blue cosmetics purse. If I could wish upon a star, then I'd wish for this! This soy candle has notes of strawberry, pineapple, mango, lily and vanilla. 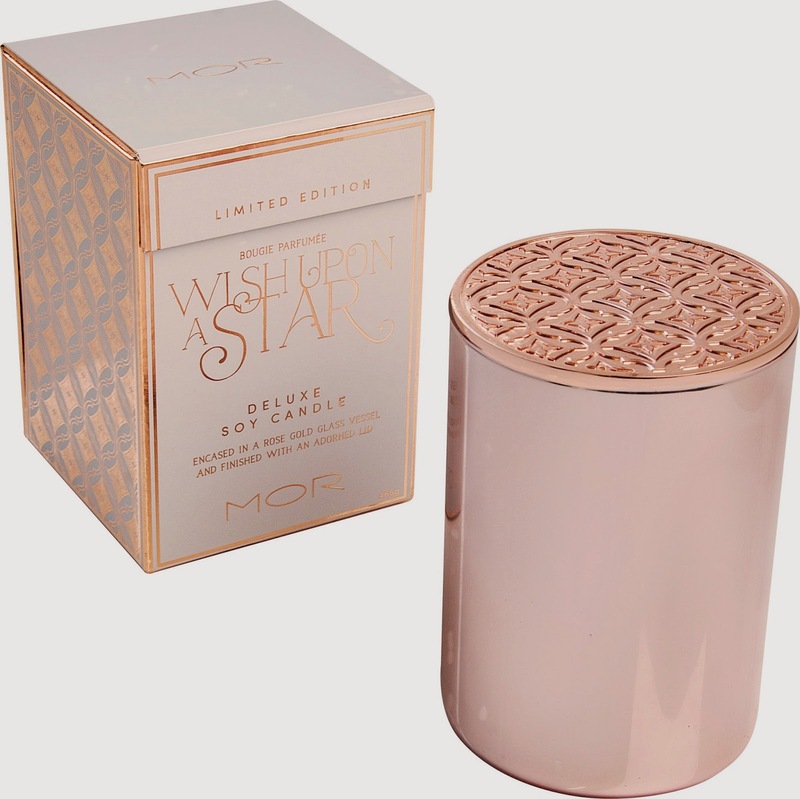 It smells INCREDIBLE and has gorgeous rose gold packing. It contains a cotton wick (lead free) and burns for 60 hours. Santa if you're reading this, I'm hoping that this candle is waiting under my Christmas tree next Thursday! I was actually tossing up between this pack and the pack I ended up buying. I really wanted this one (due to the fact that the robe is sooooo soft and luxurious and I need a new one), but I''m supposed to be saving!! So I went the cheaper option. It contains the 100ml perfume along with the robe. And there are my favourites from this years MOR Christmas releases!! They have some amazing gift packs available this year and you can see the rest here. As it's so close to Xmas, head into David Jones or Myer to pick up one. Are you as obsessed with the Marshmallow scent as I am? Or do you prefer another MOR scent? MOR's packaging is always SO pretty! I love the look of the perfume oil though. I have the Lychee Flower scent and it's amazing! I love the Lychee scent! I've bought the soap and candle previously and it's so beautiful. Very summery. Isn't it divine! I can't stop smelling my wrist when I wear it! The packaging is super cute! I've never tried MOR before but next time im in the city i'll definitely have a look! Mor Marshmellow perfume/scent is my absolute favourite. It reminds me of musk lollies!